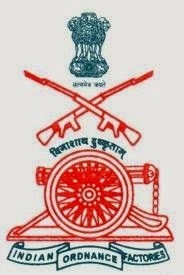 Dear Friends, the Indian Ordnance Factory (IOF) has activated download link for Admit Cards for it's Chargeman Exam. As you know, the Indian Ordnance Factory is going to conduct the written exam for Mechanical, Information Technology, Electrical, Civil, Automobile, Electronics, Chemical, Metallurgy, Clothing Technology, Leather Technology and Non Technical posts. The exam is scheduled to be held on 15th February 2015. Now it has came out with the Admit Cards of the same. You can download your admit card from the official website of Indian Ordance Factory (IOF) www.ofbindia.gov.in or from below link.